Caesar Salad 不是都用 Romaine lettuce 嗎?? 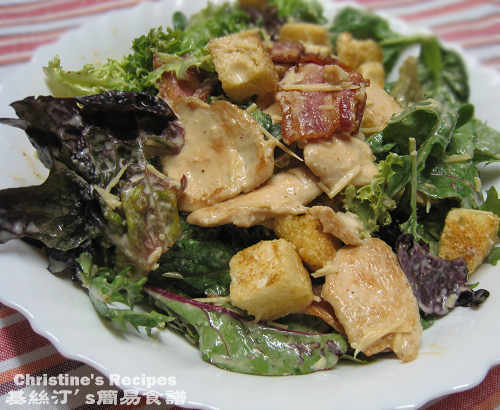 還有 Caesar Salad 的 dressing 不是 grocery store 都有現成的可以買嗎? 它們跟你自製的 dressing 有何不同呢?